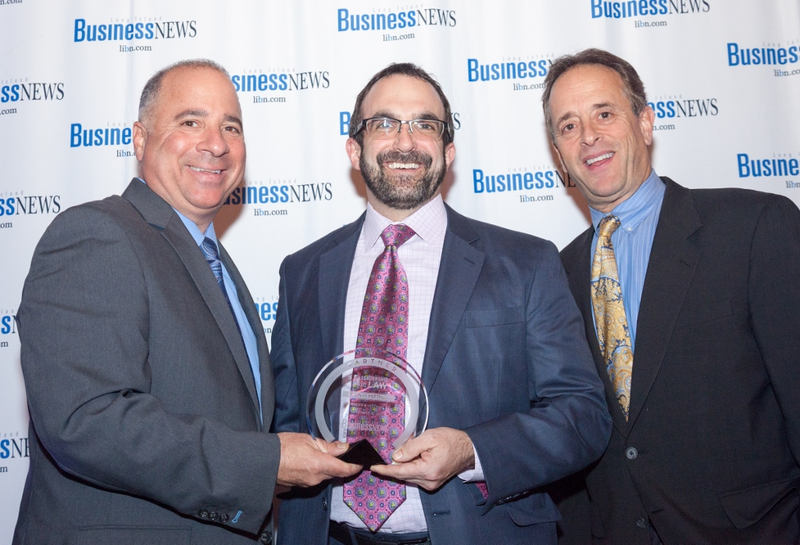 Brian Mittman was recently honored by Long Island Business News for the publication’s annual “Leadership in Law Award.” Brian is the Managing Partner & Owner of Markhoff & Mittman P.C., The Disability Guys™, a leading law firm that has been on the forefront of New York worker’s disability. The award recognizes individuals whose leadership, both in the legal profession and in the community, has had a positive impact on Long Island. Recipients of this award demonstrate outstanding achievements, involvement in their profession, support of the community and mentoring. For the past 24 years, Brian has helped secure, and win, compensation for worker’s compensation claims, social security disability, supplemental security income, New York City and state retirement disability and serious personal injury cases. Under his careful direction, Markhoff & Mittman P.C., The Disability Guys™ has achieved growth and success over the years by representing thousands of injured and disabled workers. The firm has also grown to open five offices to better serve the state of New York and injured workers in White Plains, Long Island, New York City, Brooklyn and Goshen. In addition to his work at Markhoff & Mittman P.C., The Disability Guys™, Brian is passionate about giving back to the community. He has volunteered his time at several organizations including: The Pediatric Cancer Foundation; Lifting Up Westchester; The Civil Service Employees Association; Neighbors Link; Transit Workers Union; Hispanic Westchester Coalition; Injured Workers Bar Association; and United Jewish Appeal. For additional information about this award and its honorees, please visit: www.libn.com/leadershipinlaw.